One place we visited more than once (on day trips) was Old Rhinebeck Aerodrome, near Kingston, NY. 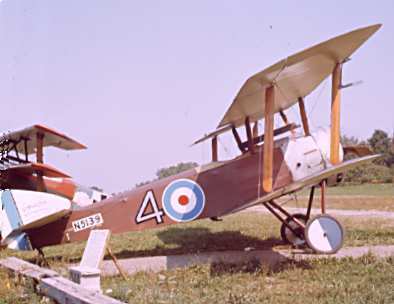 They had many old airplanes, including a replica of an airplane that was used to deliver air mail, pictured on the left. Guess what the right-hand picture is? 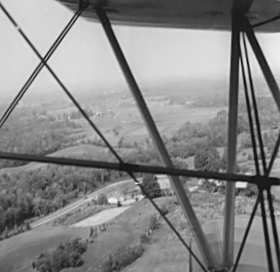 Some years earlier (as you can tell from the black-and-white photograph), we visited Old Rhinebeck Aerodrome and I actually flew as a passenger in the mail plane shown at left. The plane had two cockpits, a rear cockpit for the pilot and a forward cockpit for passengers. The forward cockpit was big enough that it could hold more than one person, so my mother and sister flew, too. Since it was an open cockpit, the pilot handed out leather flying helmets for us to wear. This was the first time I flew in an airplane, and what a ride it was! The pilot flew over the countryside and did some steep turns over the Kingston Bridge (on the Hudson River). I remember the plane banking very sharply, and we all got giddy. At one point, the pilot took a toy balloon out from his cockpit and released it into the slipstream. He then circled around and attempted to pop the balloon by running into it with the propeller. We got an extra-long ride because he missed on the first pass. On the second pass, the balloon hit the wing and popped. They still give barnstorming rides, for anyone who is interested. 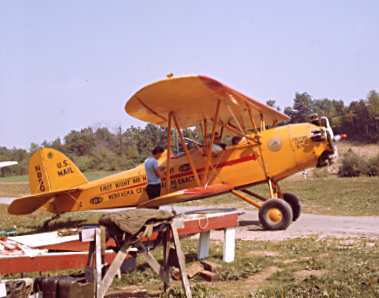 To visit the web site for Old Rhinebeck Aerodrome, click on this link. This is an old World War I airplane at Old Rhinebeck Aerodrome. 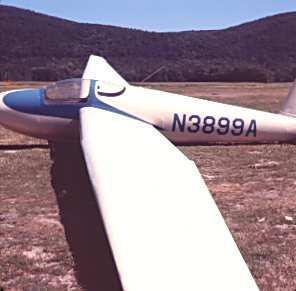 In one of our other trips around New York, we happened upon an airport used extensively by gliders. The airport was located in Wurtsboro, NY. To visit a tourism web site about glider rides in the area, click on this link. 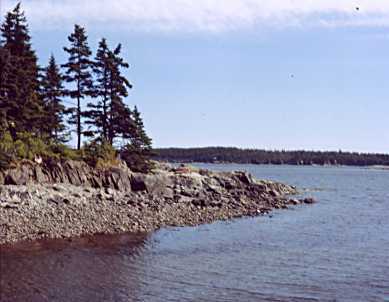 Here are a couple of pictures from Maine. Unfortunately, I don't remember the exact locations, but they were somewhere along the coast. 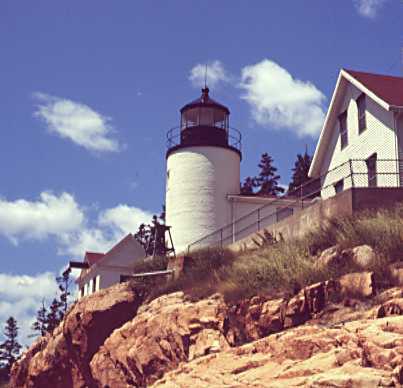 To visit a tourism web site for Maine, click on this link. 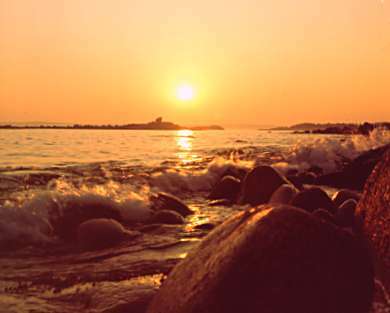 I believe this sunset was also along the Maine coast.